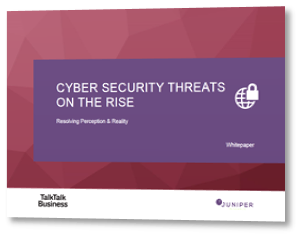 Yet a study by Juniper Research has found that despite increased concern and spend on cyber security over the last year, there is a high degree of complacency, with few common practices in response to this threat. + Over 70% said IT was solely responsible for cyber security, despite the main risks they identified involving employees from across their business. “For us cyber security is no longer just a technology issue, it’s a business issue for the whole company. Any business that has ever had a cyber attack will tell you that they never expected it, even with all the processes in place. A full copy of the report can be downloaded by filling in the form.